Photographer Christian Vieler specialises in capturing dogs in a moment of pure ecstasy - the moment they catch a treat. When you are at a restaurant, and you can finally see your waiter on the way with your food. Imagine the look of joy and relief on your face. Christian Vieler, a photographer who specialises in capturing that moment on camera - but with a dog. Specifically, he manages to get the perfect shot of dogs trying to catch a treat. 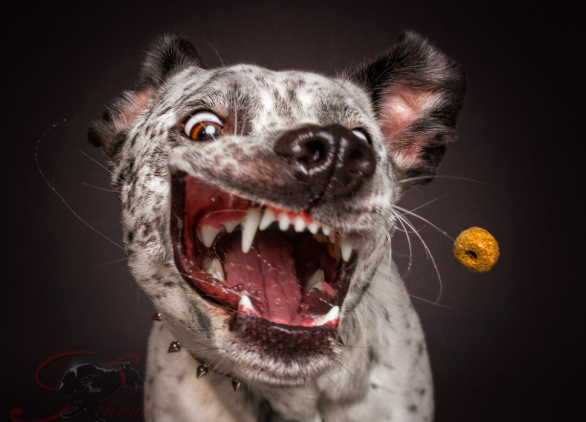 Here are some of the most hilarious photos Vieler has captured in his seven years of capturing "Dogs Catching Treats".